1) You have mortgage insurance (MI). With the huge increase in property values the Phoenix area has seen over the past year, you may be able to get rid of your mortgage insurance. It is often difficult to work with a current lender to get this removed (as they expect to collect it for a number of years) even when property values have increased. If you find this to be the case, you may want to consider starting fresh. Additionally, there are options available that may allow you to decrease or remove monthly mortgage insurance even if your home value is above 80% loan to value. Bottom line: if your monthly payment currently includes monthly mortgage insurance, there is a good chance that you can get rid of that payment and lower your monthly expenses. 2) You have an adjustable rate mortgage (ARM). With the slight increase in rates we’ve seen over the past few months, it might be a good time for you to lock into a fixed rate. 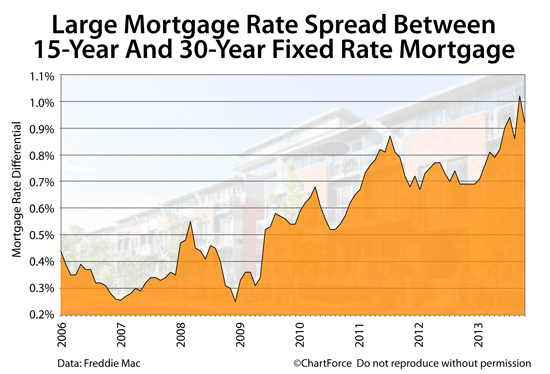 Rates are still at record lows that will likely allow you to obtain a comparable payment and of course you can always opt for a no-cost refinance if rates drop again. But by at least getting into a low fixed rate mortgage now, you avoid getting “stuck” if rates are high at the end of the fixed period of your ARM. 3) Your credit score has improved. Since credit rating is a major factor in determining loan risk, if you’ve seen a significant increase since you took out your last mortgage loan, it may be time to see if there are better options available to you now. 4) You have a second mortgage, HELOC or other debt you would like to consolidate. Getting into a low, fixed rate mortgage can often help borrower get rid of adjustable rates on second mortgages or even high interest credit cards. 5) There’s a little more room in your monthly budget. Maybe you paid off that car, got a raise at work, finally got rid of the last of those student loan payments…Well, some of the best rates available right now are on 20, 15 and 10 year fixed rate loans. If you are currently in a 30 year fixed or an ARM and you find that you are blessed with a little wiggle room in the budget, a shorter loan term could be your key to an early retirement! A mortgage is a big part of the overall financial picture and being in the right loan can make all the difference.